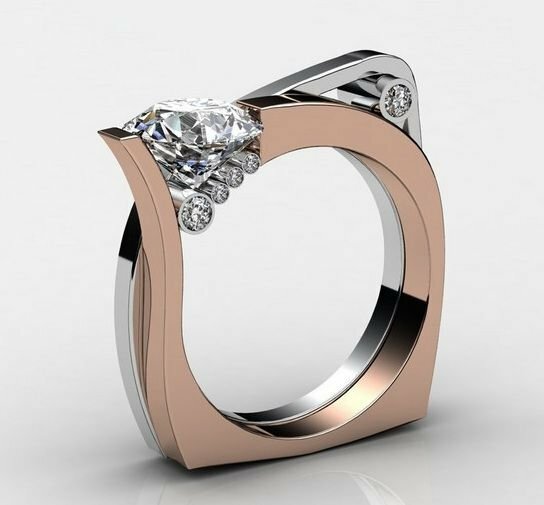 15 odd engagement rings you've never seen before. 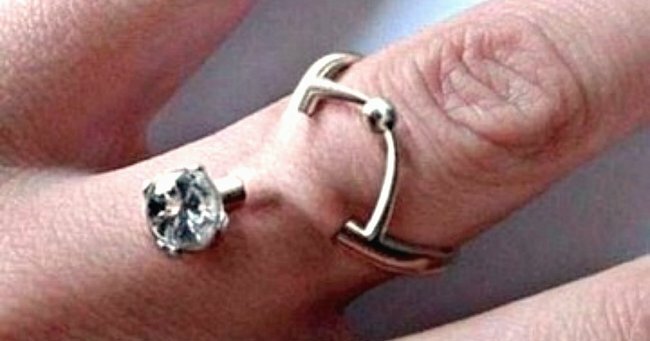 15 of the oddest engagement rings of all time. Welcome. Take a seat. Grab a cup of tea and some biscuits. Prepare your body and mind to say “WTF” a lot. 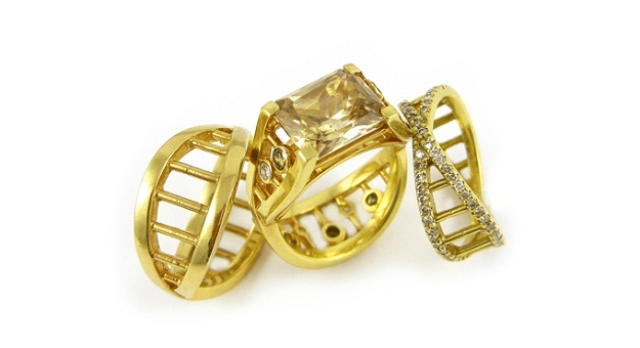 We are gathered here today to bask in the quirky radiance of 15 engagement rings. Engagement rings of such a calibre that, before today, they would have been beyond my wildest dreams. 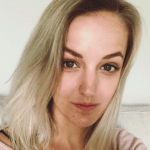 Pink ones. Themed ones. Seemingly lethal ones. Ones that make my mum’s oh-look-the-diamonds-are-side-by-side-how-cool-is-that ring look vanilla AF. 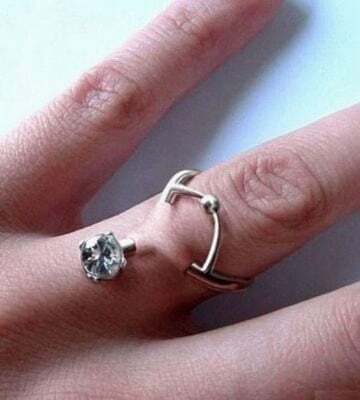 Here at Mamamia HQ, we have scoured the strange, scary interwebz, and can now present to you the kookiest engagement jewellery the world has to offer. If you can beat these, we’d love to see your suggestions in the comments (you won’t be able to, but be my guest and try anyway). 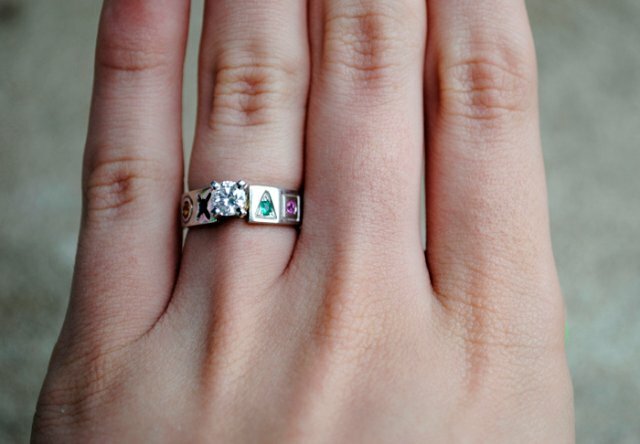 The quirkiest engagement rings of all time. 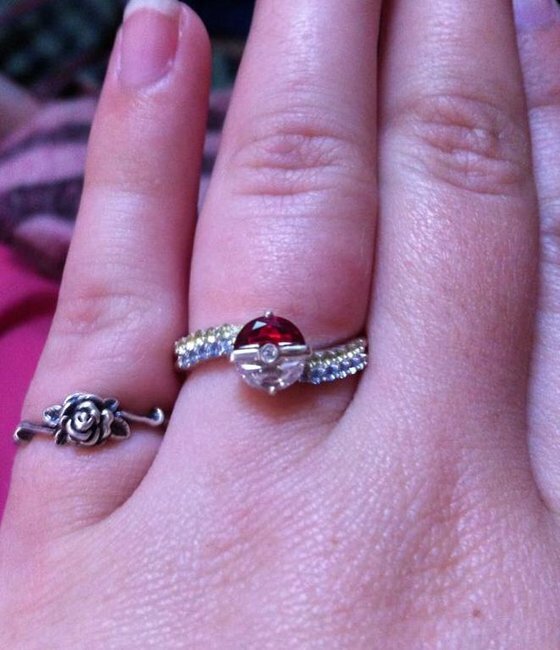 Pokemon... to show your relo is evolving.One gaming couple took their Pikachu obsession to new heights. Don&apos;t be a square, dude.This is aaaaabstract. Very art. Much creation. The OMG WHAT IS HAPPENING AAAAAAAH.It goes under her skin. YOU GUYS IT GOES UNDER HER SKIN. 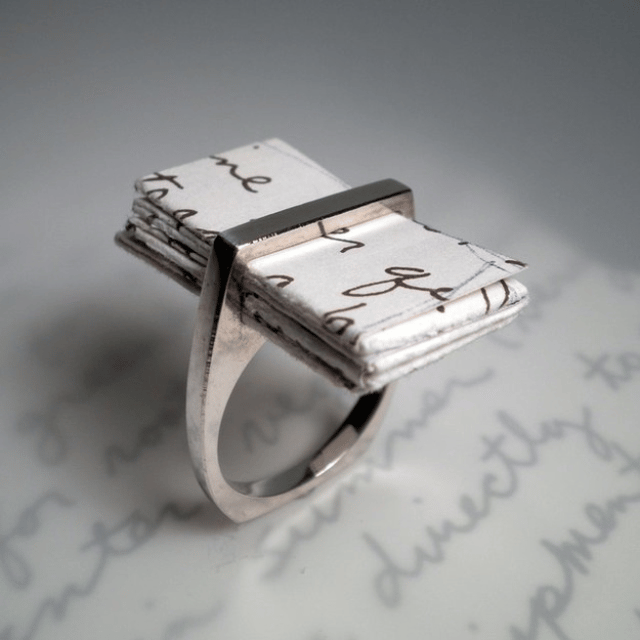 Say it in a letter.For $200, you can have your own love letter scripted and placed inside this unique engagement ring. 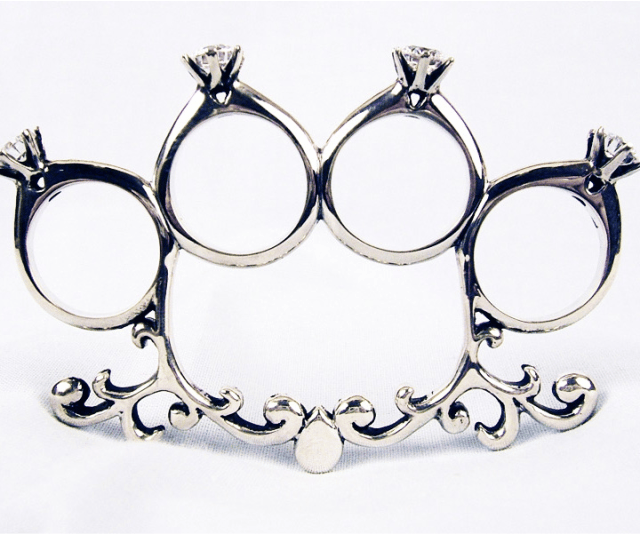 Who wants one ring when you can have four?This unique piece - designed to sit across your knuckles - is designed by Kate Mess. 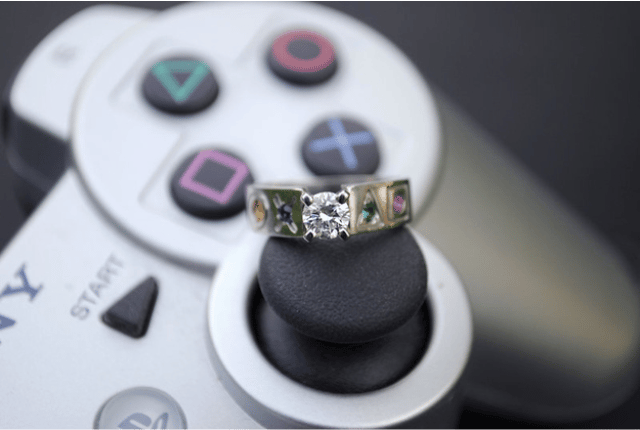 A PlayStation ring.Blogger Brandi Miller was proposed to with this ring, which was inspired by a PlayStation controller. PlayStation ring.Here&apos;s a closer look at it. 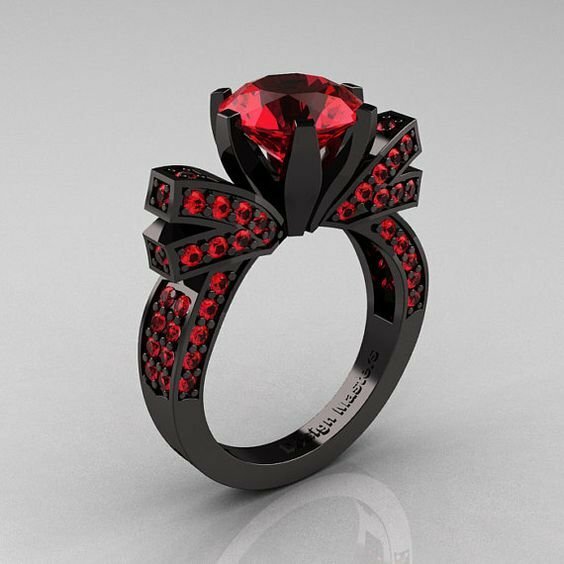 ETSY Ruby engagement ring.... Woah. 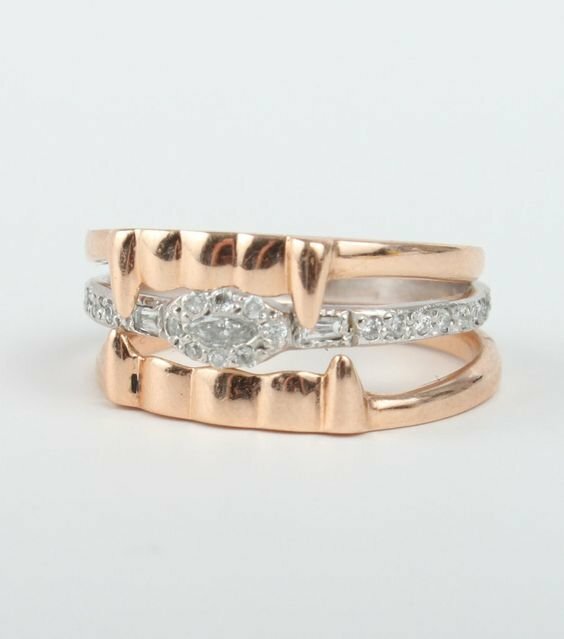 Watch your fingers.This "Baby Vamp" engagement ring set by CatBird NYC is a showstopper. This is too far.Woah. 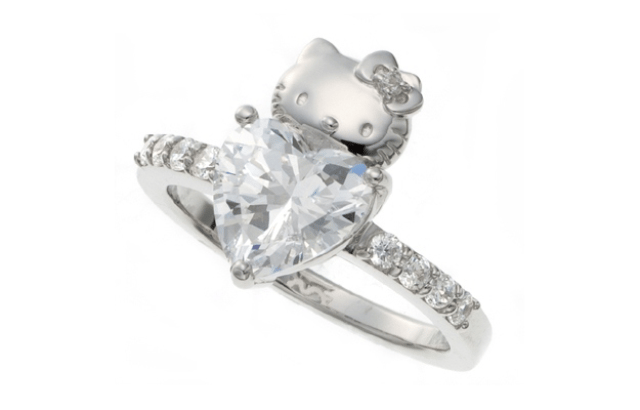 This ring from Rakuten is taking a Hello Kitty obsession to the Next. Level. 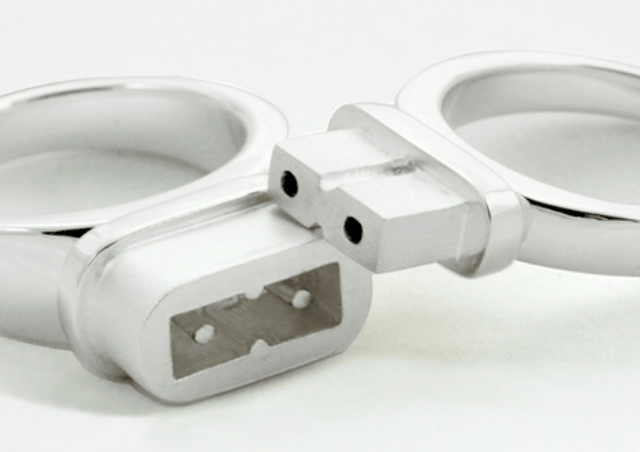 Does anyone have an USB port?The wife-to-be of the game developer, Ray Arifianto, who works on the Xbox Platform team at Microsoft bought the love of her life a custom-made USB wedding ring to celebrate his geeky tendencies. Tickle me pink.What&apos;s this? 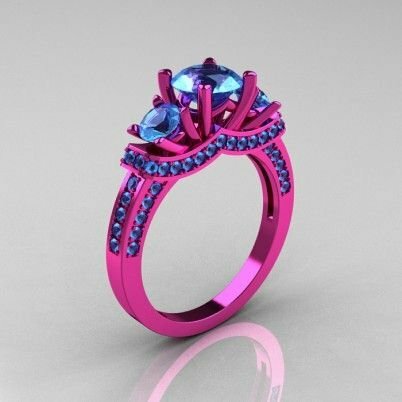 Just a "French 14K Pink Gold Three Stone Blue Topaz Wedding Ring Engagement Ring" of course! 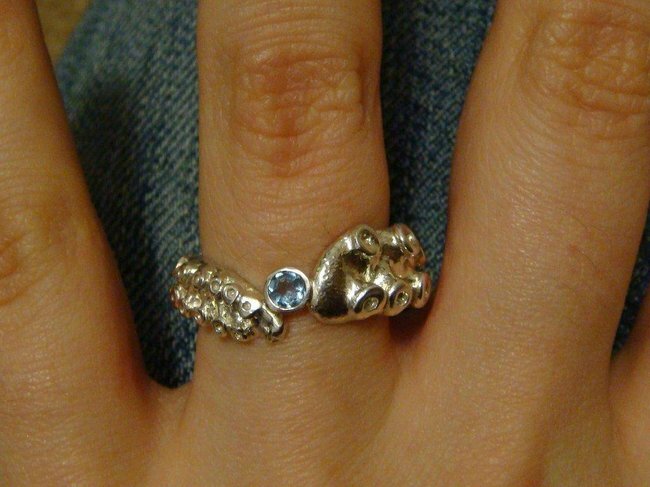 Yep... that is, in fact, an octopus themed engagement ring. How very glowtastic.A-yup. 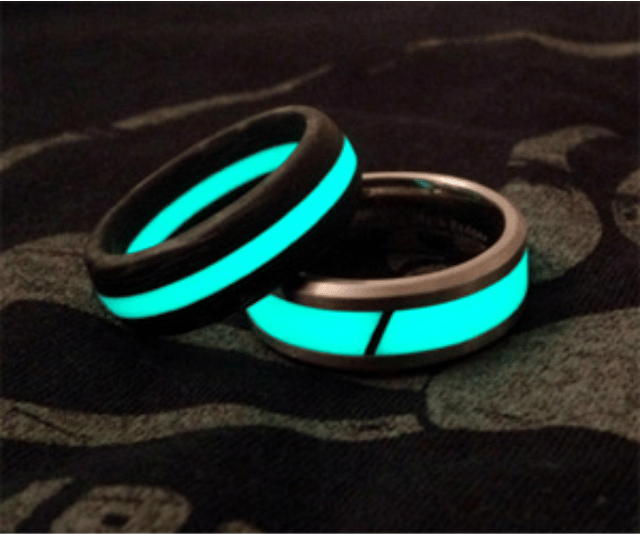 These ones, by Black Badger, glow in the dark. For those who lose things.GET IT PIERCED ON INSTEAD! 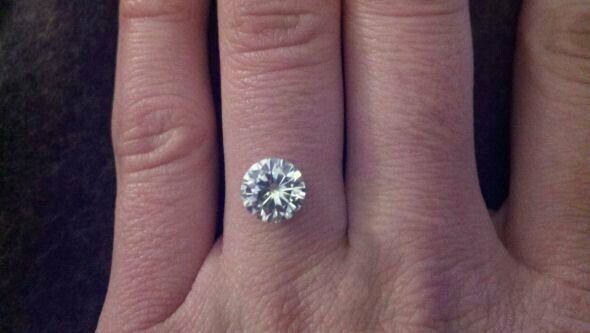 This is a dermal piercing - AKA no engagement band necessary.